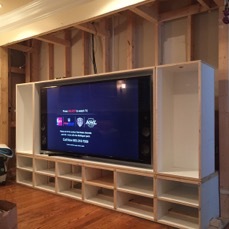 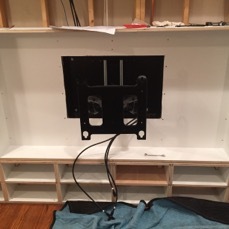 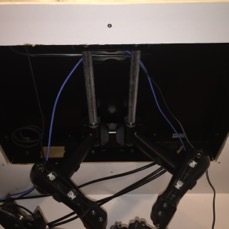 Custom cabinet build showing how the Chief In-Wall TV Mount works. 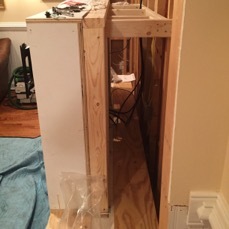 Cabinetry is being built in house and once assembled will integrate with the rest of the rooms trim and wall materials. 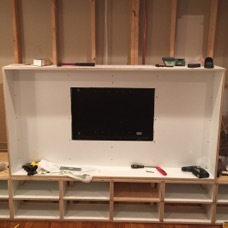 The bottom components were installed to make sure the TV fits properly and to install the mounting bracket. 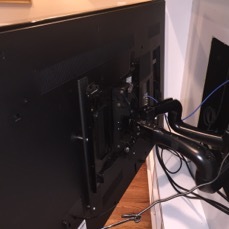 Components include Sony 4K TV, 4K Media Player, Wireless Subwoofer, Blu-ray Player, AppleTV, and Dish Network Receiver. 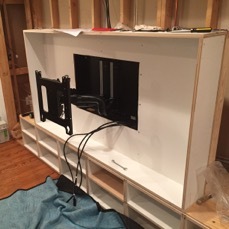 Final pictures to be posted.